Arsenal went their second consecutive league game without a win when they locked horns with Manchester City on Sunday afternoon. The Gunners took an early lead through a Theo walcott strike but were unable to maintain same momentum which later led to them conceding two second half goal. It looks as though things are not working out for us at the moment and the large number of key players we have out injured is skyrocketing as the days go by. We may as well have lost another man while waiting for some to make a comeback early next year. It is Alex Oxlade-Chamberlain who has added to Wenger's woes. The English international who came on in the second half but was unable to make it to the end of the match and the boss after the game revealed that it looks like a hamstring injury. 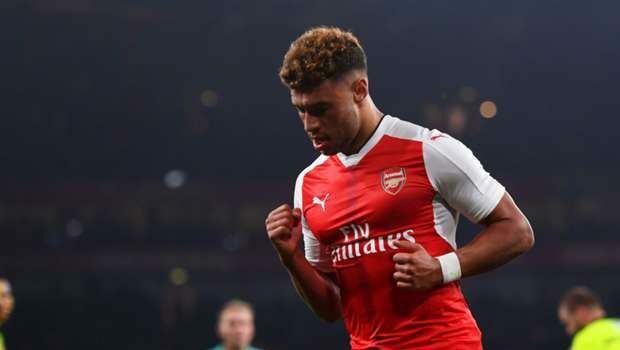 Hamstring injuries usually take about three weeks to heal, so if we are to go by that, we will not see the Ox in action till 2017.